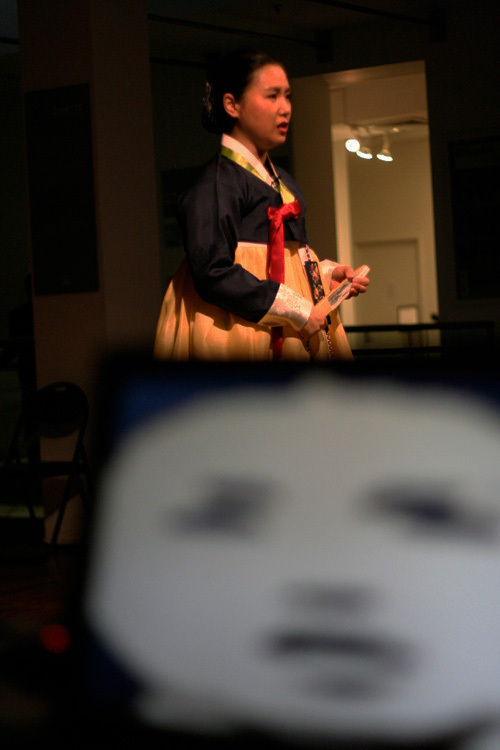 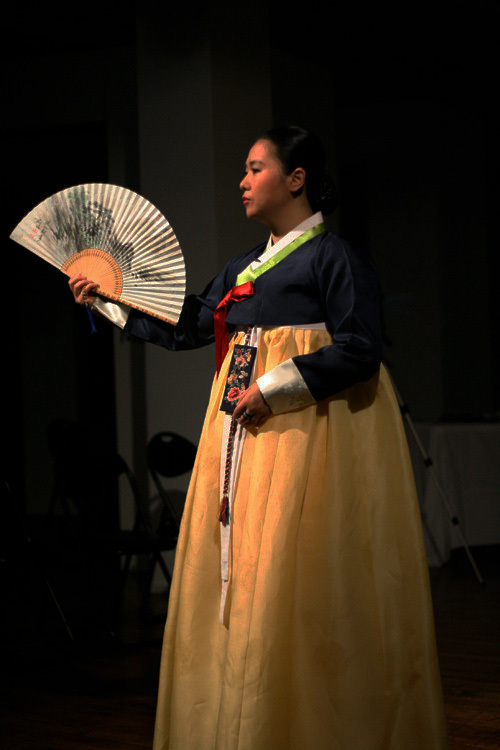 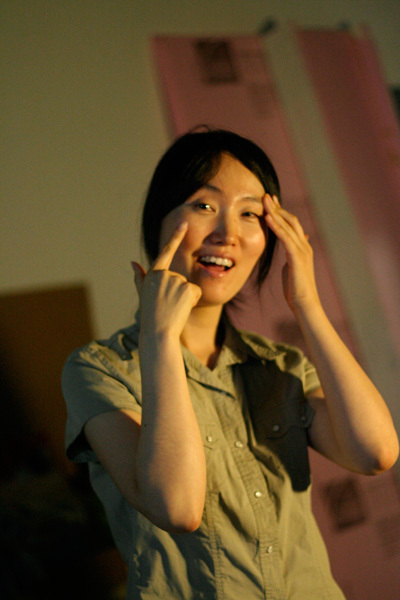 A Pansori master, Junghee Oh, is standing on Wiifit, wearing a wireless microphone. 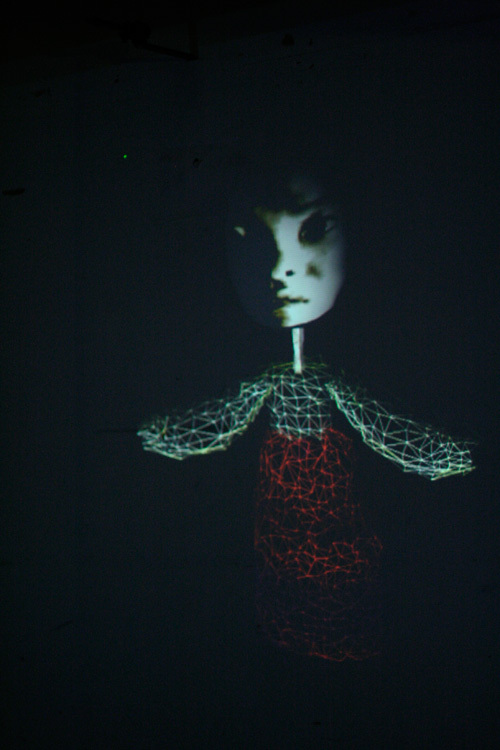 She faces the virtual puppet and watch her/him most of the time. 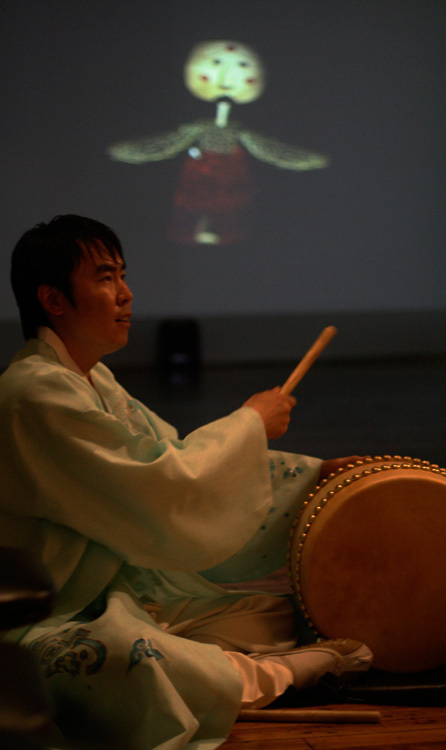 She also interacts with the drummer sitting beside. 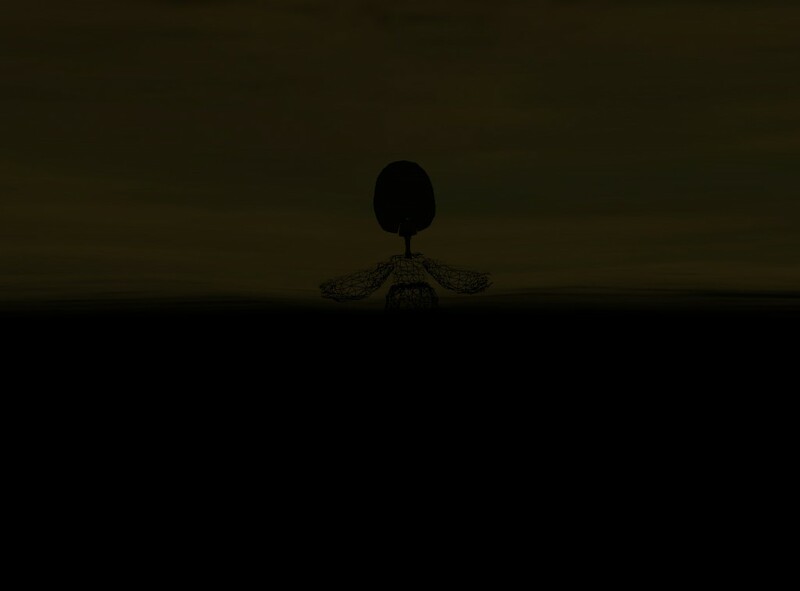 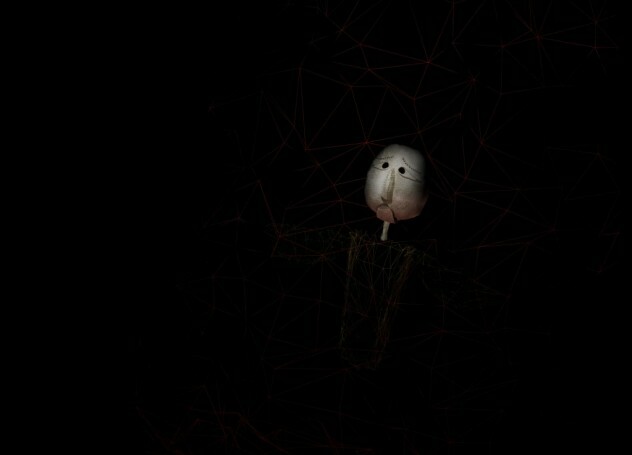 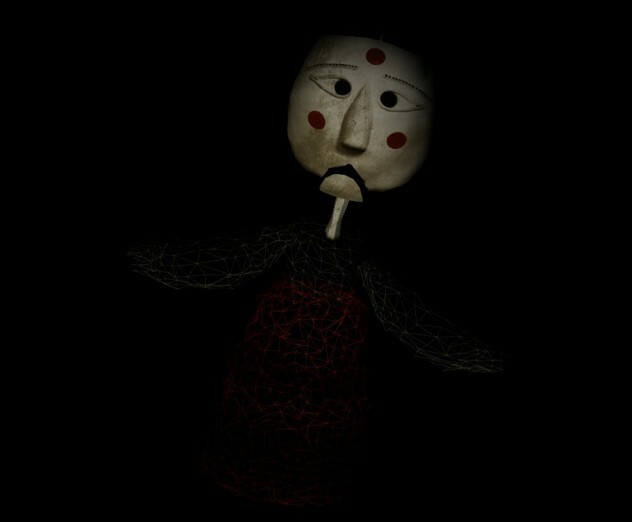 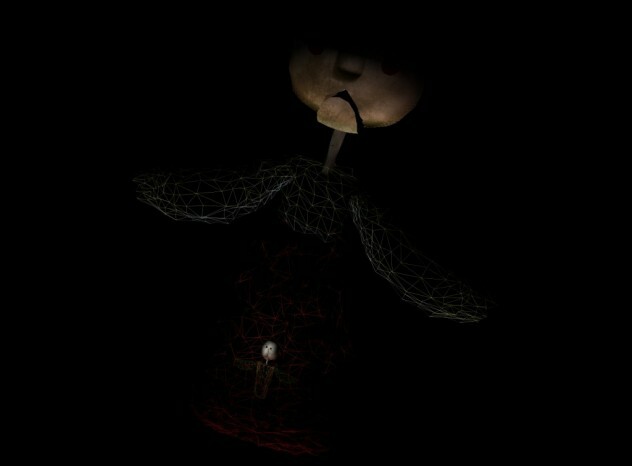 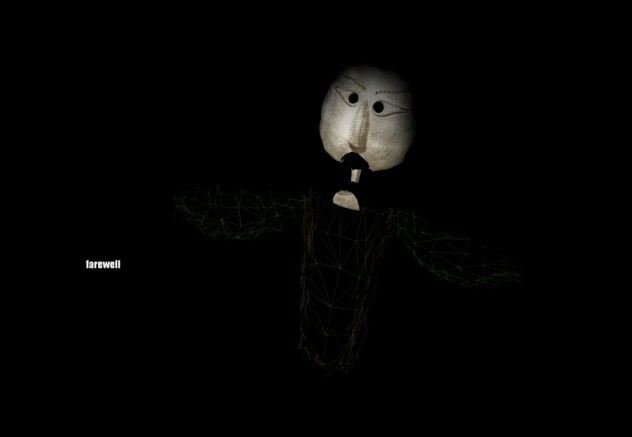 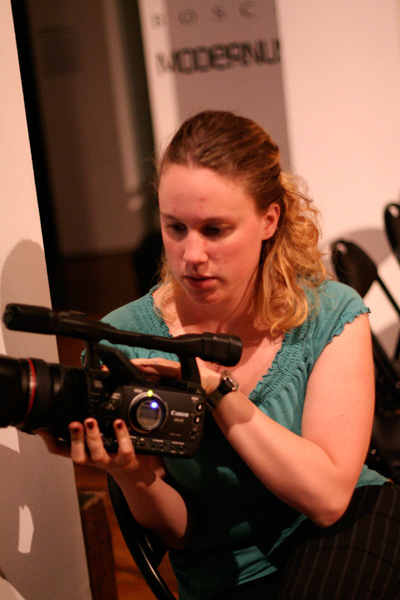 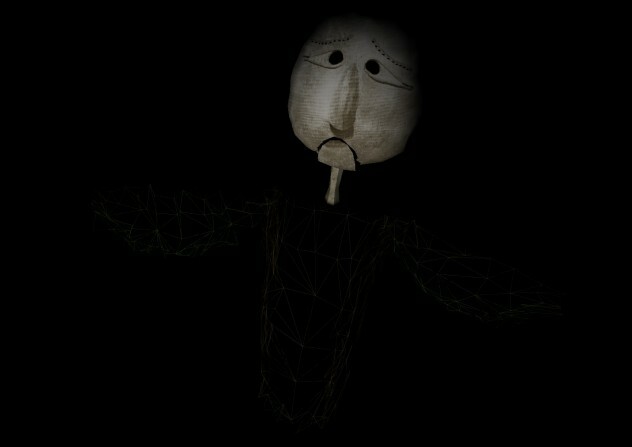 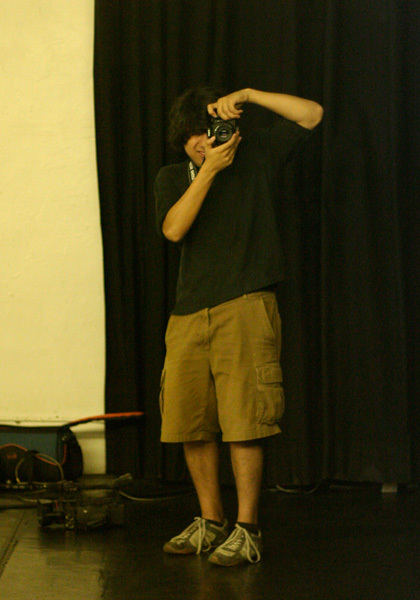 One of three virtual puppets, responding with the puppeteer's voice and body balance. 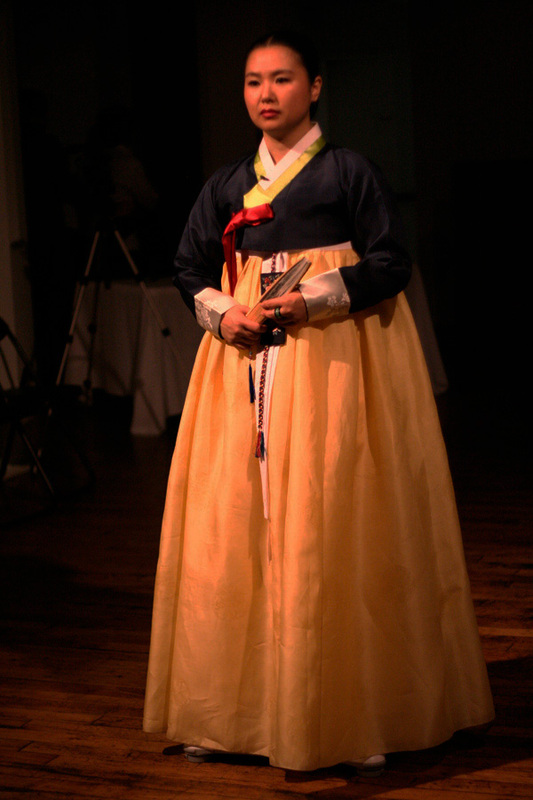 Her name is Chun-Hyang. 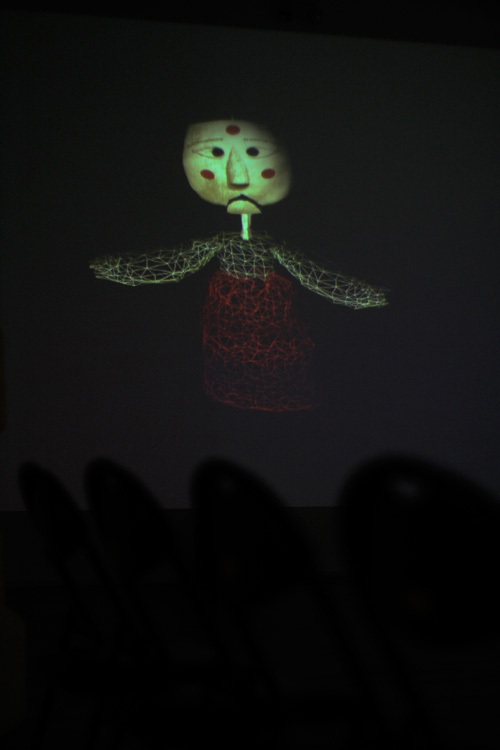 Virtual puppet faces the puppeteer from a long distance, speaking back her story in real time mimicry and mirroring her body in swaying motions. 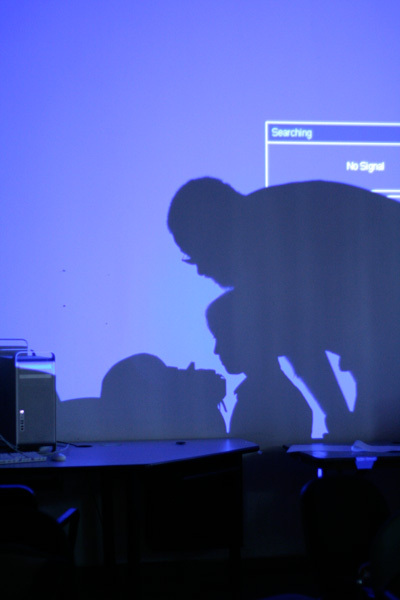 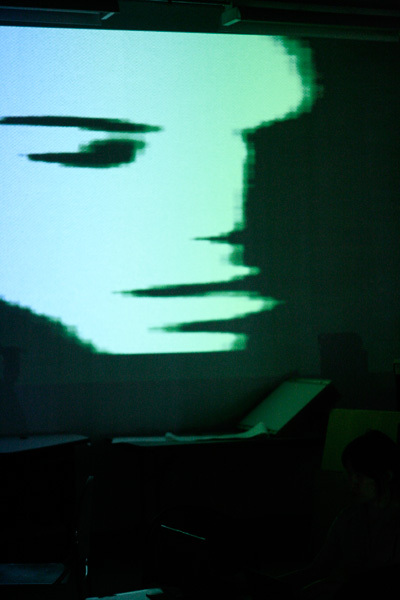 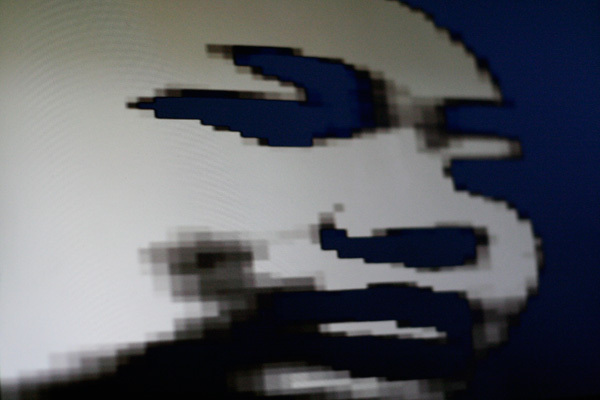 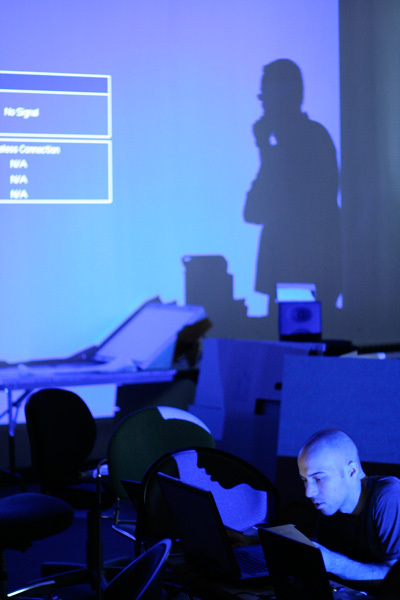 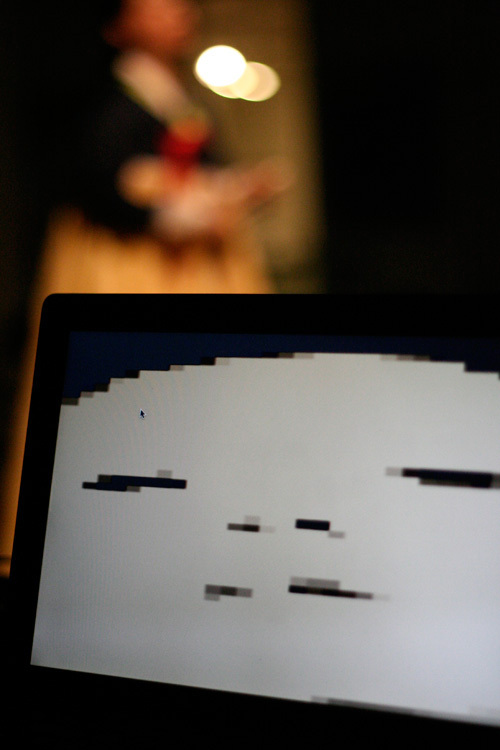 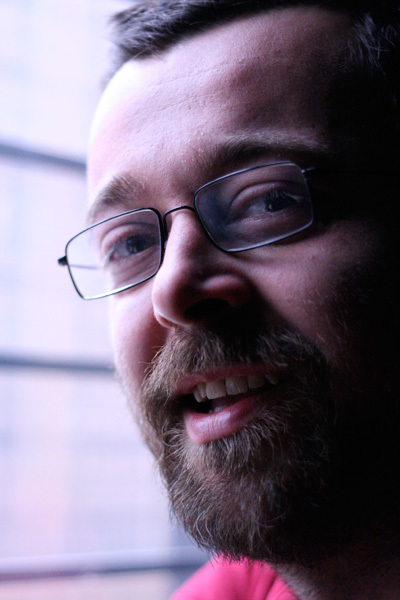 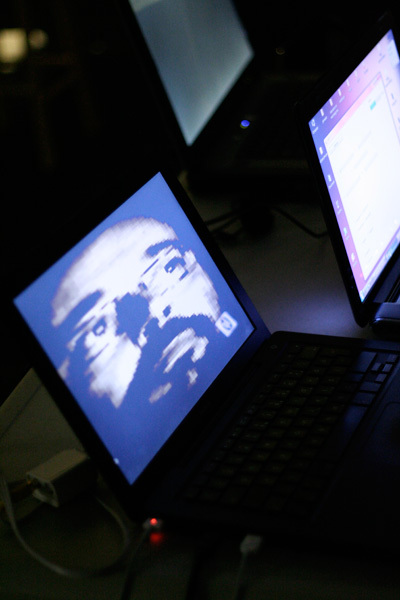 One of computers receives live video signal of puppeteer's face, and send it to another computer running virtual puppets.